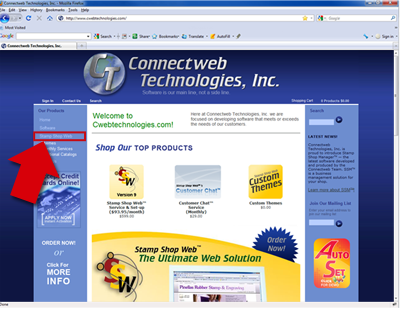 Click the link labeled, "Custom Vantage Web" located on the far left menu. NOTE: Move your mouse over the image to enlarge. 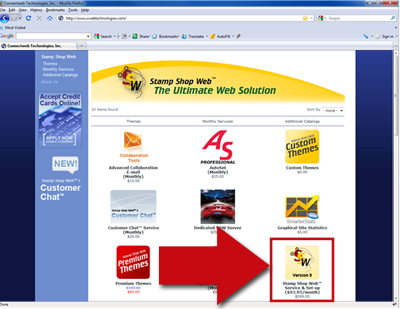 Next scroll down and click the icon Custom Vantage Web Service & Set-up. 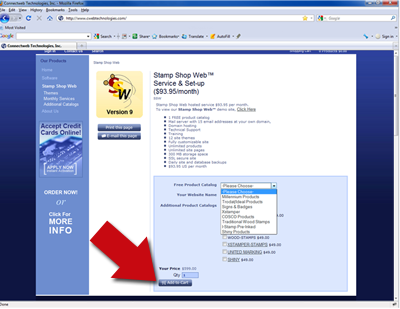 Now you are on the product page for Custom Vantage Web Service & Set-up. B: Next type the name of your website into the field provided. to be added to your site. D: Next type the quantity of services you would like setup into the Qty field. 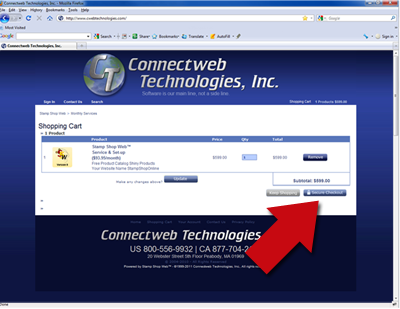 Finally click the Add to Cart button at the bottom of the page. Secure Checkout or you may choose to continue shopping. 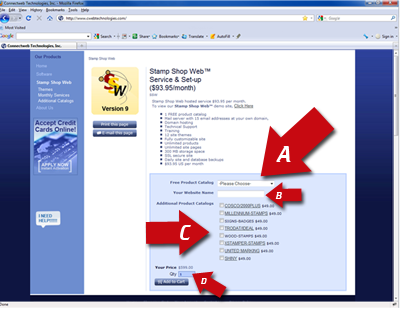 with you immediately to setup your Stamp Shop Web site and to setup a free initial training session.